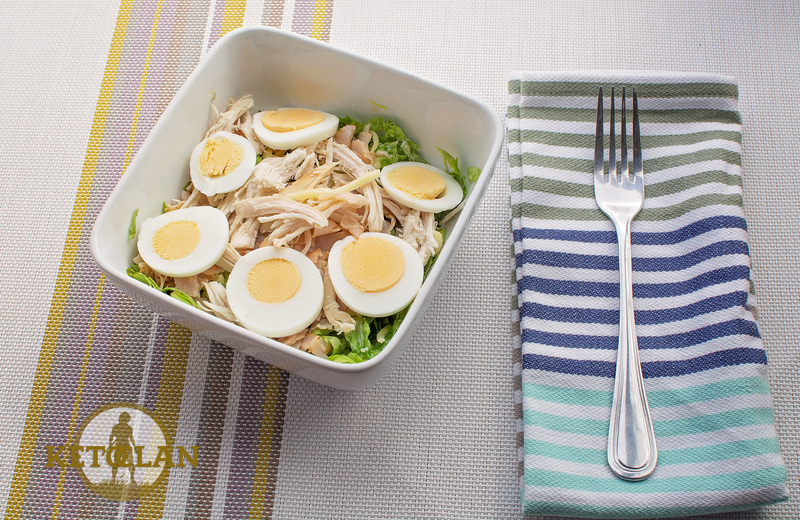 This is one of our favorite go to salads, perfect for packing for work lunches, or to have made up in the fridge ready to server, also great for when you have guests around, add a bit of caesar dressing and they will love it. 1. Thinly slice your lettuce and place in a bowl. 2. Add your mayonnaise and mix it through your lettuce. 3. Add your chicken and ham and stir some more. 4. 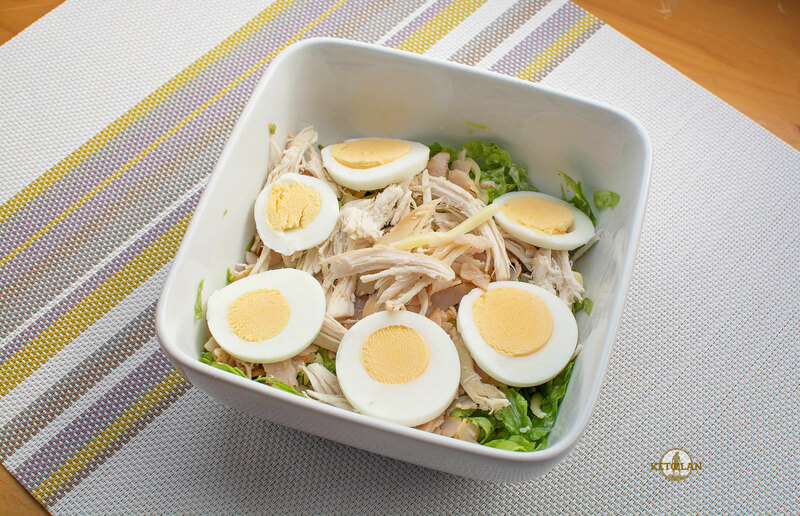 Finally slice your egg and place on top of your salad. 5. Add salt and pepper to seasoning. TIP: If you wanted more fat content, you can add 10 ml of MCT oil or 10 ml of Olive oil to the lettuces.